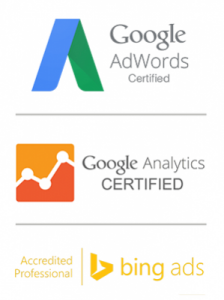 Google AdWords, Social Media Marketing, Web Design and SEO from a Veteran Owned Business. Vibetail is a locally focused digital marketing & web design company. Based in Weybridge Surrey. We ensure the personal touch combined with a results-focused, no-nonsense approach. A Vibetail is a fancy fishing lure. This special lure is used to attract and hook specific types of fish, that’s what Vibetail is all about. In this vast, swirly, constantly evolving digital ocean, we have the right mix of friendliness and marketing expertise to partner with all local businesses, providing a more valuable, personal and cost-effective service. We don’t talk jargon, we talk about real business needs and deliver easy to understand results. It all started in 2016, when Vibetail founder, Andy Mills, realised his many years of experience in various excellent digital marketing agencies had empowered him with a unique set of skills. During this time, Andy discovered a genuine, fiery passion for helping smaller businesses and enterprises achieve truly game-changing results online that genuinely change peoples lives. It’s this impact that inspires an eagerness to go above and beyond, offering businesses a more beneficial, intimate, cost-effective service. And so, Vibetail was born! Vibetail Offer for VOUK Members……. Standard members – 10% discount on all services including Webdesign, Social Media Marketing, SEO and Google AdWords. – Google AdWords review – Full review of current AdWords account including setup, structure, and optimisations. Free Digital E-book from Vibetail. Read our free E-book on 10 common Google Ads (Adwords) mistakes. Here, Vibetail explains what not to do when placing an ad with Google Adwords.